"This isn’t going to be a story about Microsoft’s return to dominance. Nor is it going to be the story of Microsoft’s failure to compete in the smartphone space. These mobile wars have only just begun and despite the advantage enjoyed by Apple and Google, there is no end in sight. In another twelve months we will see fierce competition from HP, Microsoft and Nokia. There’s a lot at stake, and no company is willing to give up the opportunity to own the next-PC market without a hell of a fight. Today is the beginning of Microsoft’s fight." 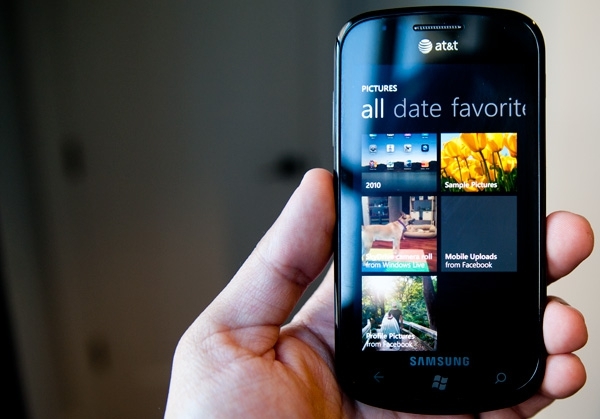 By now most of the Windows Phone 7 reviews have hit the web, but one more can't hurt. Anandtech has an exhaustive review of the operating system, with lots of great photos to satiate your thirst for Windows Phone 7 news until the US launch next week. Hit the link for the full review. Good review. I only have to points. I personally prefer the Android notifciation pardigm, where they can stack up then I can pull down the list when I am ready. Also, there was no mention of Turn-by-Turn navigation in Bing. That is a serious differentiator between WP7 and Android. Especially since its free in Android.